Beautiful bespoke Russian inspired tiara in Swarovski crystal teamed with Swarovski pearls on silver plated double base. 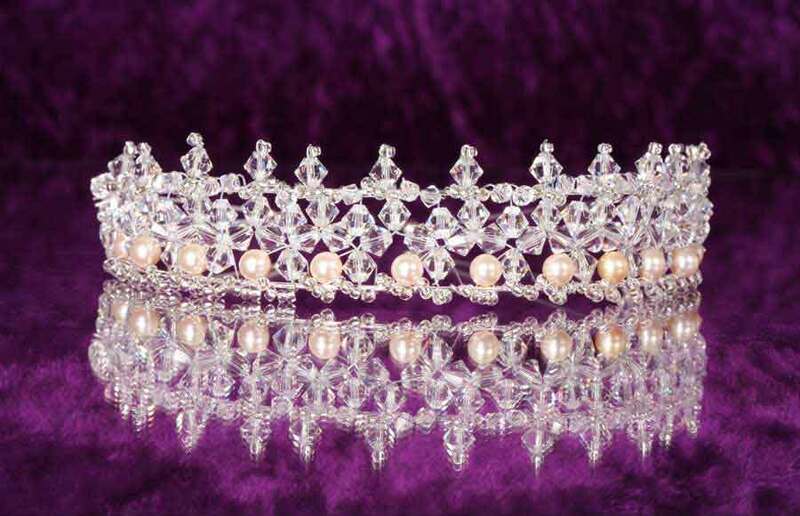 This tiara is made using the fashionable Japanese bead weave. SOLD contact us if you like this design.